Which is the highest voice part? Eva Perón was the First Lady of _____. Which sport is Mark Allen famous for? How far is 1 light-year? Who's the author of Sherlock Holmes? Pick the correct definition of "A Cappella"? A tempo having slow movement. Directive to repeat the previous part of music. What is the name of Anne Frank's autobiography? Which of the following is known as the voice box? Professor Friedrich Bhaer appears in the novel _____. Even though you know a lot, you’re always trying to absorb more. You are curious and highly intelligent, and you don't take anything for granted. Albert Einstein once said: "Two things are infinite, the universe and human stupidity, and I'm not sure about the universe." What he spot-on? Let us know your thoughts in the comments, and SHARE your phenomenal score with the world! You almost passed, which could mean that your mind operates in a constant state of flux. You're always uncertain of your desires, ambitions, and even thoughts. Would you describe yourself as calm and collected, OR as an energy bomb? 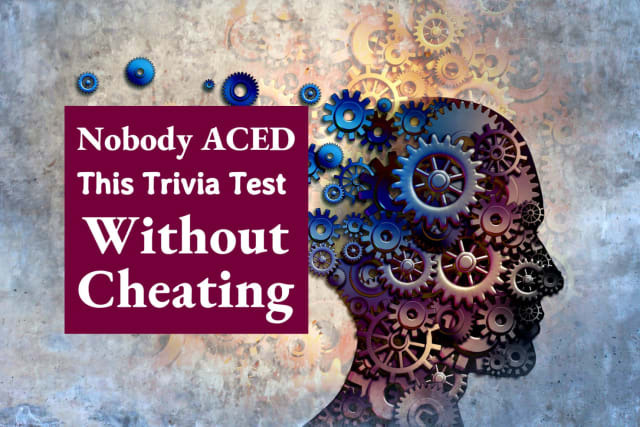 Let us know in the comments, and SHARE this tricky trivia quiz to test everyone you know.